The Supreme Court (SC) has ordered lower courts nationwide to strictly implement the “eSubpoena System" that is set to go in full swing this year. This was bared by Court Administrator Jose Midas Marquez through Circular No. ‎244-2017 issued last Dec. 21, which ordered the lower courts with connectivity issues to use contingency measures and implement the program immediately. "Pending full connectivity of all the courts nationwide, those courts which have no signal or are experiencing intermittent internet signals in their stations are directed to use available Internet facilities in their respective areas and utilize the monthly Extraordinary and Miscellaneous Expense Allowance provided the judges in sending the eSubpoena," read the administrative order. The eSubpoena, an automated notification system that enables the courts to send electronic subpoenas by email to the police witnesses and the units where they are assigned, was approved by the high court in April 2014 in partnership with the Philippine National Police (PNP) as part of the judiciary modernization program. The system was designed to enhance the administration of justice as it ensures that subpoenas and other notices issued by the courts would reach the concerned police investigator in charge of a case. Designed for the exclusive use of the court administrators, clerks of court and the PNP through PNP Administrators and Court Process Officers (CPOs), the system will be helpful in monitoring police compliance of subpoenas issued by the court. Marquez directed all first- and second-level courts that have undergone training for the project to strictly implement the eSubpoena System. For the implementation of the system, Marquez has likewise tapped the SC's Management Information System Office to handle courts that still do not have accounts or need to restart their password. The program intended to address the absences of police officers in hearings, which had previously led to the dismissal of thousands of cases -- mostly drug cases -- and the extended detention of suspects that further contribute to jail congestion. 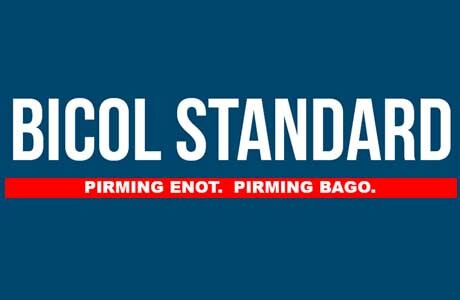 Marquez, who supervises all regional trial courts, metropolitan trial courts, municipal trial courts and other local courts in the country, also reminded the courts and the PNP to strictly accomplish the feedback section in the system. He lamented that more than 52,000 subjects issued with eSubpoena did not have feedbacks, disabling the effective monitoring of attendance of summoned police officers in court hearings. According to the guidelines of the “e-Subpoena System”, the PNP will use its Database, particularly its website, in serving subpoenas to police officers appearing or named as witnesses in criminal cases. The courts, through the court administrator, will send the various subpoenas to particular PNP units in the PNP identified website or via e-mail. The assigned court personnel shall enter the details regarding a subpoena to be issued to police offices in the Data Base of the PNP using the computer-generated form known as e-Subpoena Form, which was prepared for the purpose. The e-Subpoena form is sent by the assigned court personnel at least five days before the scheduled hearing of the case, or within one day from the order of the court for the service of subpoenaduces tecum or subpoena ad testificandum. However, it is the primary responsibility of the Chief of Police in every police station to acknowledge the issued subpoena, inform the concerned PNP personnel and ensure his attendance in court. The Court Process Officer (CPO), as the key responsible officer, shall acknowledge the subpoena sent by the court and undertake immediate action to locate the PNP personnel concerned, inform him and cause the personal receipt of the subpoena as final proof of service. The police stations, through the CPO and/or PNP National Headquarters through the DIDM, will give feedback on the availability or non-availability of the police officer concerned within three working days from receipt. Otherwise, any feedback regarding the concerned police officer will be disclosed during the scheduled hearing of the case as indicated in the Subpoena Form. The courts will then update the system if the PNP personnel attended or did not attend the court proceedings. Meanwhile, the Chiefs of Offices shall ensure the timely delivery of subpoenas and the appearance of all concerned PNP personnel. Earlier, Chief Justice Maria Lourdes Sereno said this is meant to hasten the resolution of cases is the eSubpoena System. “This system replaces the snail mail method, whereby paper subpoenas often fail to reach police witnesses on time. Without the apprehending police witnesses, judges are forced to dismiss cases, especially in buy-bust operations,” Sereno added.